The Short Version: B’nai B’rith International, the world’s largest Jewish organization, has spent the last 175 years helping its members celebrate their culture while assisting others — locally and around the world. By joining together, the resilient B’nai B’rith community has made major strides in protecting civil rights for all people. The organization provides humanitarian aid and disaster relief both in the United States and worldwide. B’nai B’rith also advocates for senior rights in Washington, DC, and around the country, particularly providing housing for those with low incomes. The organization develops its future through the Young Leadership Network, which gives young adults opportunities to meet and volunteer in the US and abroad while affecting change. Since 1843, B’nai B’rith has been committed to its mission of improving the quality of life for the global community. Doing kind things for others could make you a happier, more compassionate person. According to a study in the Journal of Social Psychology, good deeds can improve personal life satisfaction — and the effects can be felt in as little as 10 days. However, not only do altruistic people get a boost from doing good, but acts of kindness can also create a positive feedback loop that reverberates throughout their lives. Research from Harvard Business School shows people who reflected back on a moment of kindness positively were more likely to make philanthropy a key part of their happiness model. Finding ways to do good works alone is one thing, but connecting with an organization of like-minded people committed to helping through many avenues and initiatives is even better. B’nai B’rith International is the world’s oldest and largest Jewish organization, and its members have been coming together to bring that philanthropic spirit to others for 175 years. 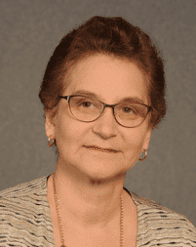 Rhonda Love, Vice President of Programming at B’nai B’rith International, understands that fostering an altruistic spirit is good for everyone. Since 1843, B’nai B’rith International has been devoted to ensuring a quality of life for all, serving communities in more than 50 countries around the globe. 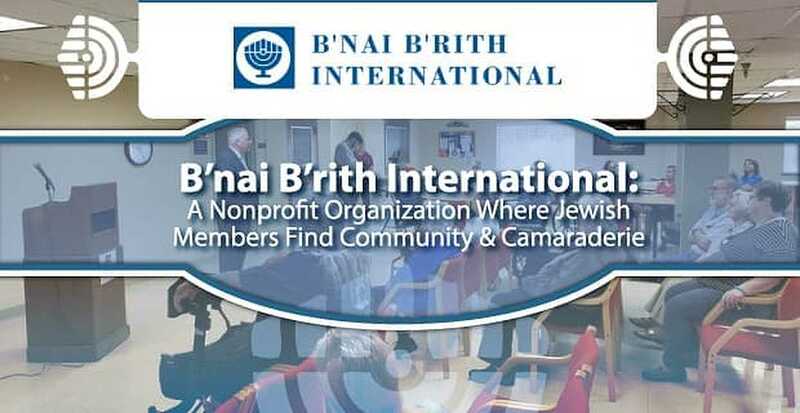 B’nai B’rith has founded hospitals, orphanages, disaster relief campaigns, senior housing communities, child safety initiatives, and tolerance education programs. The organization also works to promote understanding and combats anti-Semitism by working with government officials, influential business people, and world leaders to protect and ensure civil rights — as well as the support of Israel. Rhonda and the rest of the staff are especially excited about celebrating B’nai B’rith’s 175th birthday. 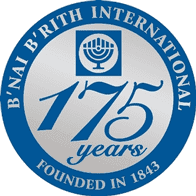 B’nai B’rith is celebrating 175 years of impactful work. “We are really happy to be reaching this milestone. Our 175th Anniversary Gala will be in October in New York along with a leadership conference. The conference will be an opportunity for members and supporters to be a part of the work we do. It’s where policies are made, presentations are done, and interesting people are brought to the table for discussion,” she said. B’nai B’rith is a sanctuary of sorts for people to reconnect with their Jewish culture, socialize with their community, and do great things in the world. “People come because they have a special interest. They have groups that are connected by business. We have people who are connected by where they live. We have people who care about a particular issue, so they may be involved in events,” Rhonda said. It’s also a great place to meet people with similar backgrounds and interests for friendship, camaraderie, or even more. The effects of B’nai B’rith’s humanitarian efforts are felt far and wide. Initially, the founders came together to help provide living expenses, education, and even funeral expenses for members’ families to ensure they didn’t fall on even harder times after losing a loved one. That generosity now extends to people all over the world. B’nai B’rith has provided disaster relief since the mid-1860s and has helped communities overall since the 1880s. Rhonda singled out a long-standing program that reflects the tradition of the philanthropic spirit at B’nai B’rith. The organization also supports ongoing international projects like Helping Haiti. Not only did it provide aid when the 2010 earthquake hit, but it has continued to do so through Haiti Grows, an agricultural program that gives Haitian farmers the education, money, and access they need to invest in — and grow — their own land. Caring for and supporting the aging population is one of the most critical issues of our time. B’nai B’rith understands that senior citizens are valued members of society and takes a leadership role in providing — and advocating for — senior services. Rhonda Love spoke with us about B’nai B’rith International’s mission to help others. Partnering with HUD, B’nai B’rith has helped create 38 buildings in 28 communities expressly for the low-income senior population. This has made the organization the largest national Jewish sponsor of subsidized housing in the US. These communities include 4,000 units, which positively impact more than 8,000 people. The organization also sponsors parent homes all over the world in England, New Zealand, and Canada, among other countries. B’nai B’rith’s Senior Advocacy Initiative works with policymakers all over the country on senior issues such as Social Security, Medicare, stem cell research, and funding for the aging services network. They also send out “Action Alerts” to let people know about pending and proposed legislation and how they can contact elected leaders quickly and easily. The Young Leadership Network is an impactful group of upcoming leaders in B’nai B’rith. They meet with other young leaders to exchange ideas and assist struggling communities through events at embassies, missions, disaster rebuilding sites, and fundraisers. These young leaders, often between the ages of 21 and 40, are a vital force for the future of B’nai B’rith. There are Young Leadership Network groups in six cities across the US: New York-New Jersey, Chicago, South Florida, Washington, DC, Denver, and Los Angeles. It’s also a great place to meet similarly minded people for friendship and potentially romance. “So many people have had a B’nai B’rith connection. I can’t tell you how many people have called me and said, ‘My parents met at a B’nai B’rith event,’” Rhonda said. Those interested can join this community that celebrates Jewish culture and heritage, advocates for others, provides aid where needed, and connects with an international Jewish community. It is also a place to socially connect with a new, second family.